Time for another free magazine. This time the travel magazine AFAR. AFAR is a different kind of travel magazine that guides and inspires those who travel the world seeking to connect with its people, experience their cultures, and understand their perspectives. 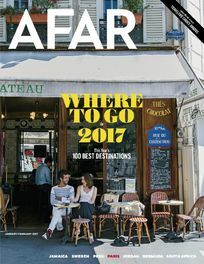 Get AFAR magazine subscription today for intriguing travel stories told with beautiful photos and a fresh design... Stay up to date with your complimentary one year subscription!